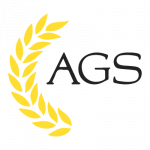 The regional Scholastic Writing Awards were announced last week, and it was another banner year for our AGS writers. Our total award count was eleven, and several girls received multiple honors. To make good news even better, we had three Gold Key winners! These three works are now in consideration at the national level.